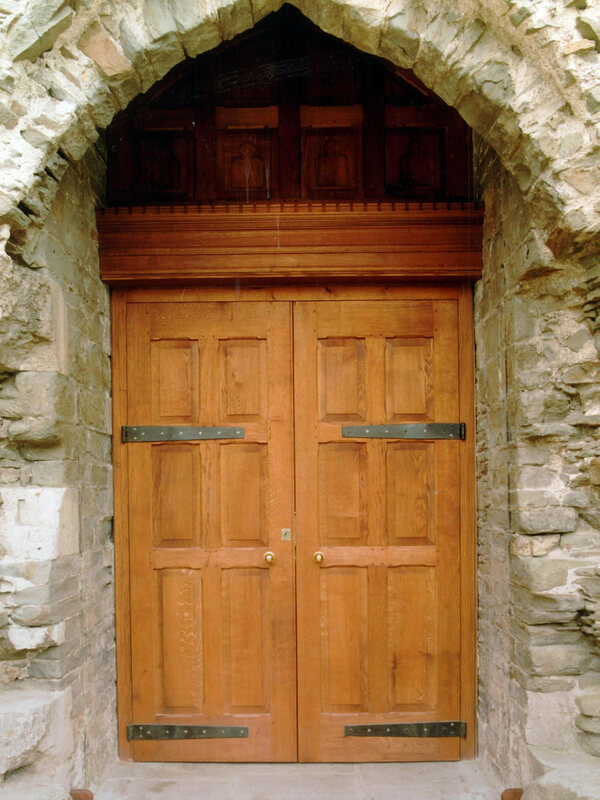 All of our solid oak doors are designed and made to order. 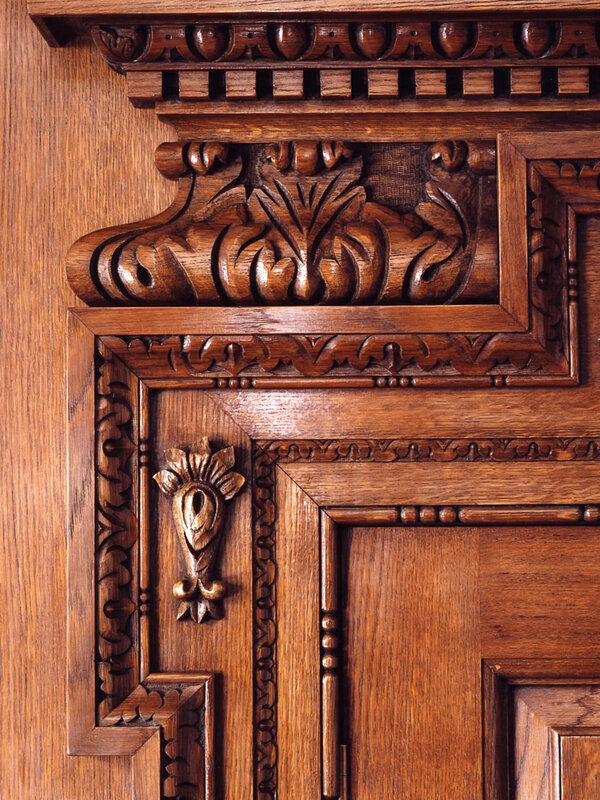 Everything we produce is entirely bespoke. 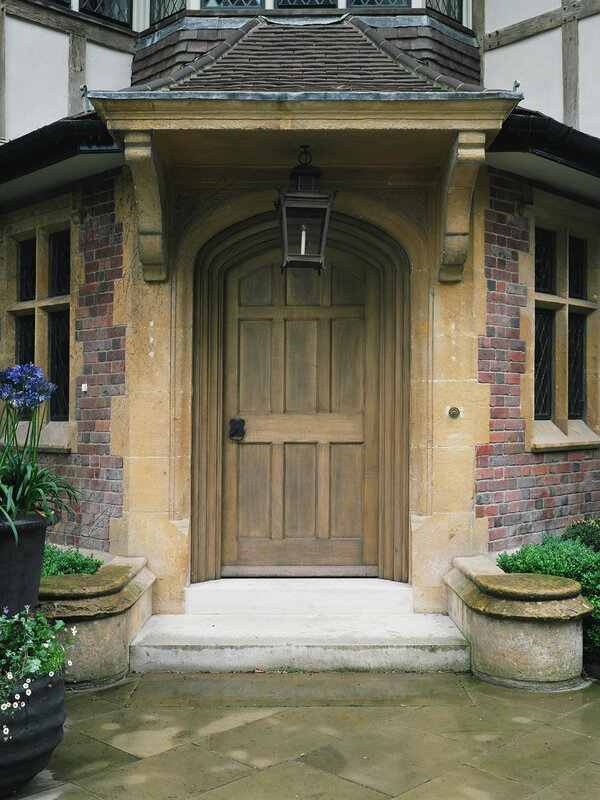 Whether you require a package of doors for a large new build project, or are simply considering replacing your current entrance door, we place great importance in discussing the design in detail with our clients. 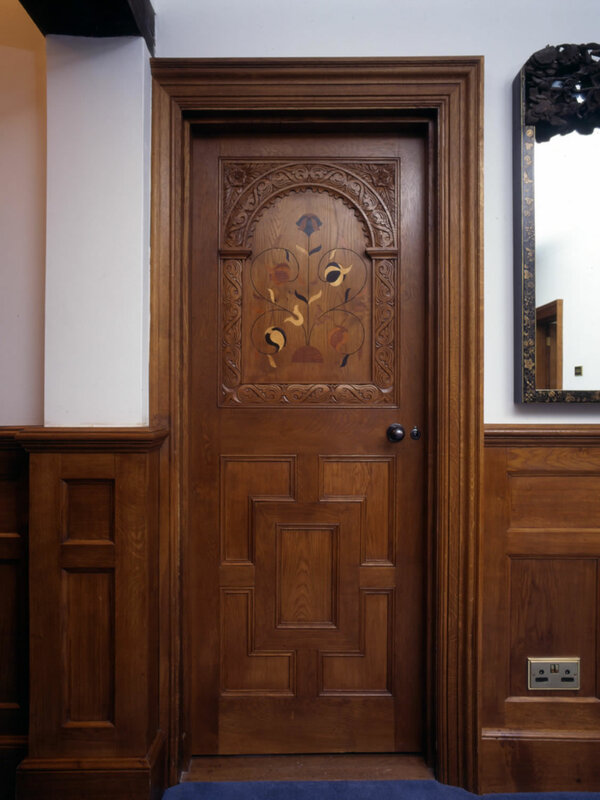 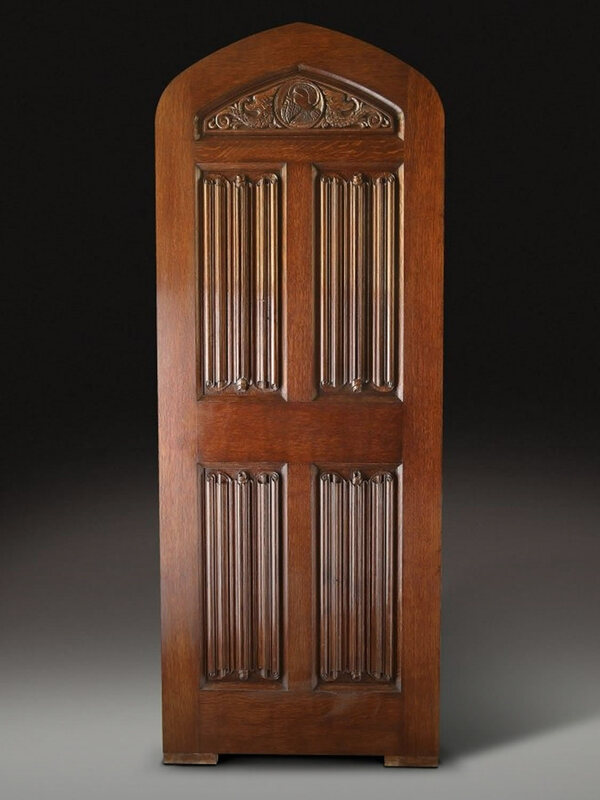 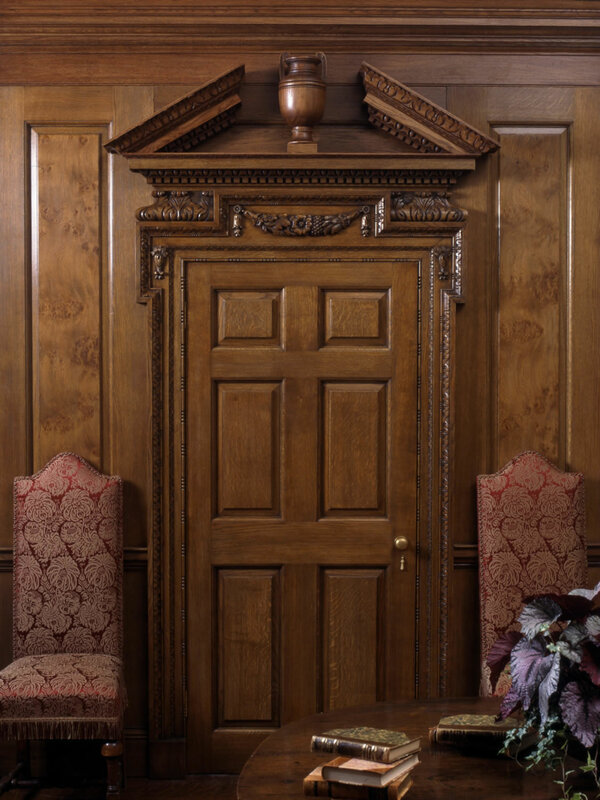 We design and make all styles of door from grand panelled entrance doors with elaborate hand carved architraves and pediments, or FD30 fire doors to comply with current fire regulations, to a simple ledged & braced door for a boot room. 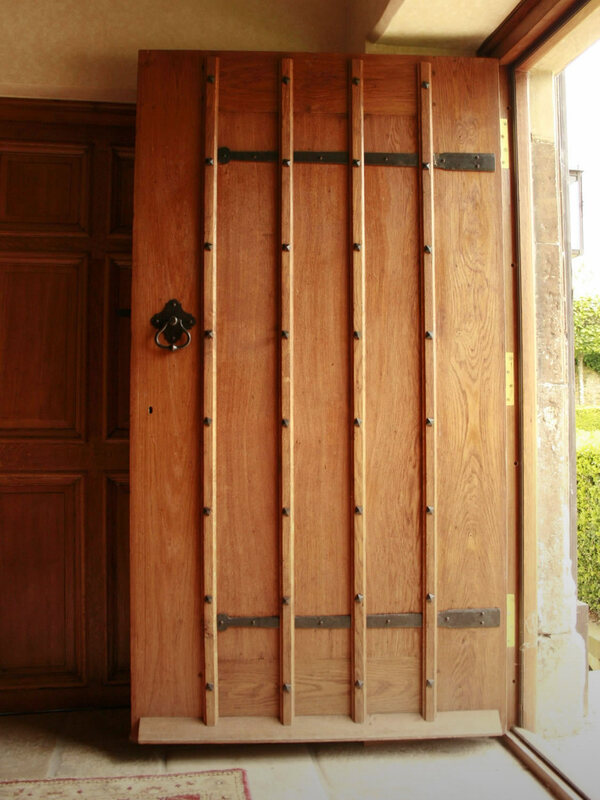 We also make frames, linings and architraves to suit. 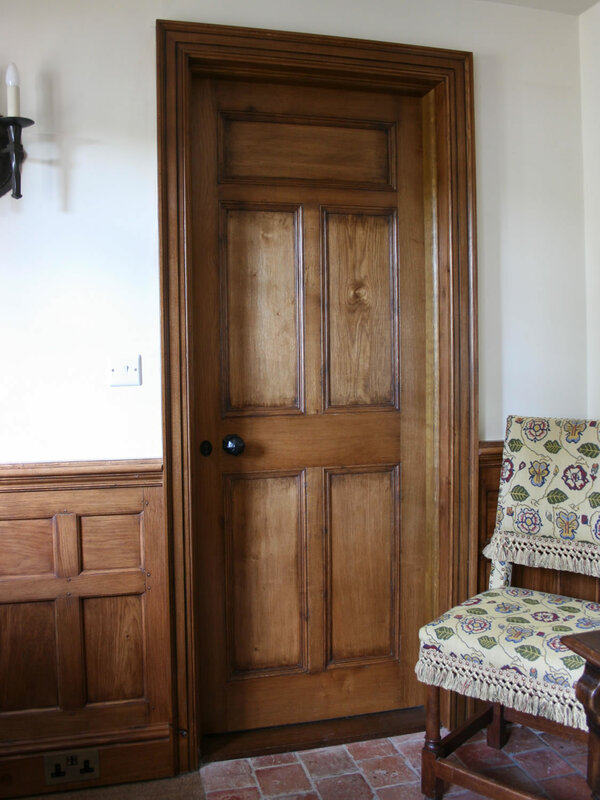 Great care is taken when selecting the finest quarter sawn oak, which gives your door an everlasting patina and figure when hand finished. 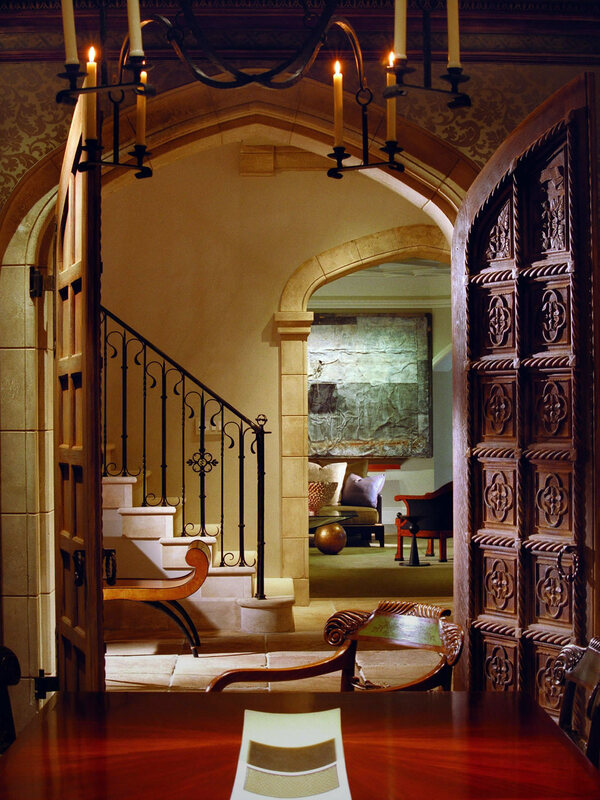 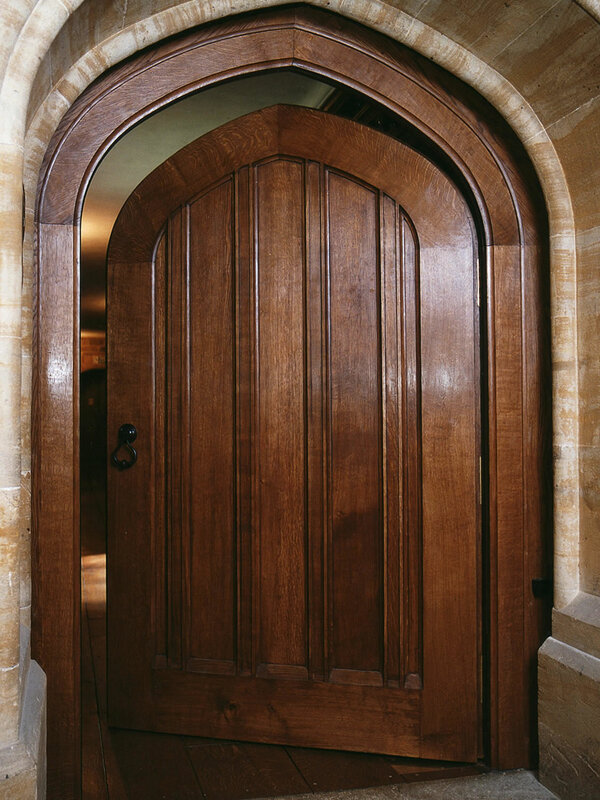 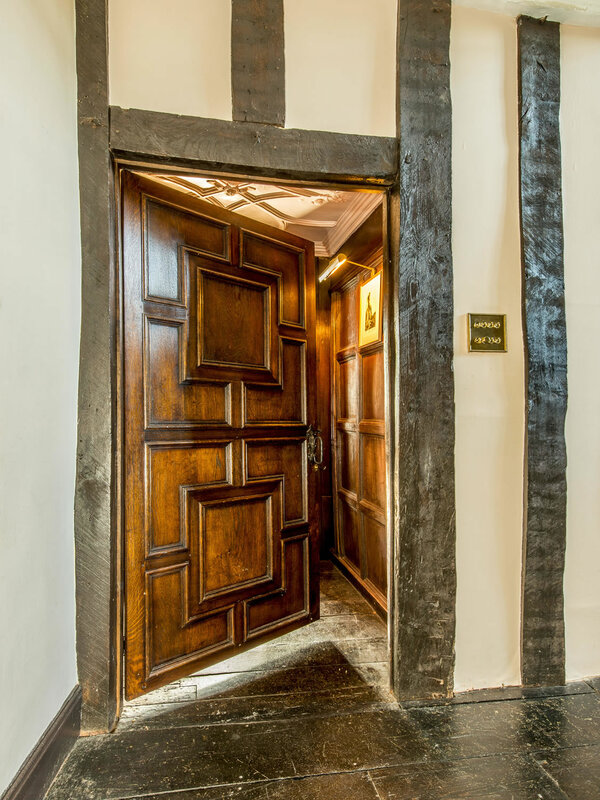 Whether you require a single internal planked oak door or elaborate arched headed entrance door we would be pleased to discuss the options available to you. 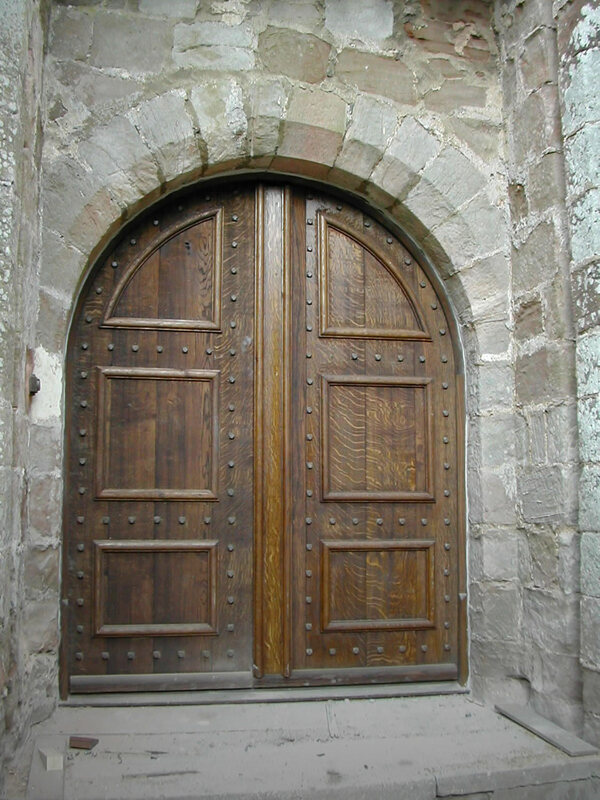 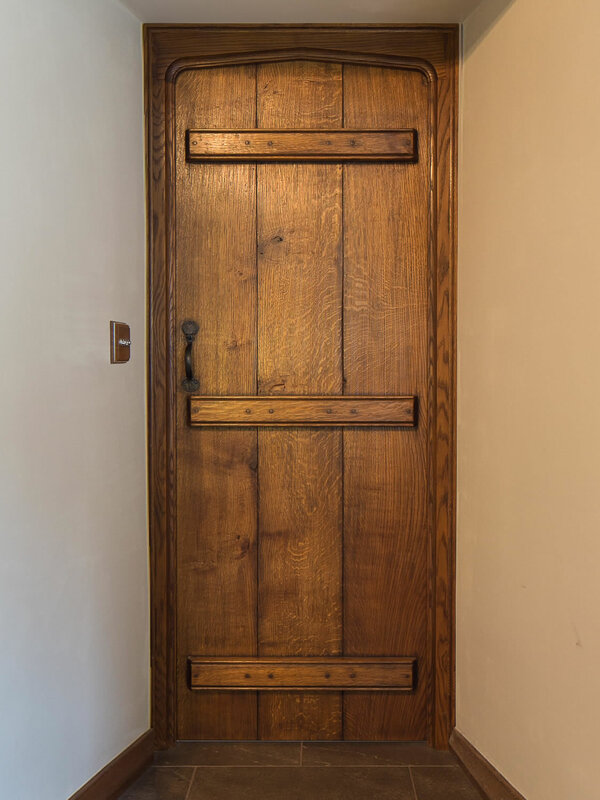 How do I commission a Solid Oak Door? 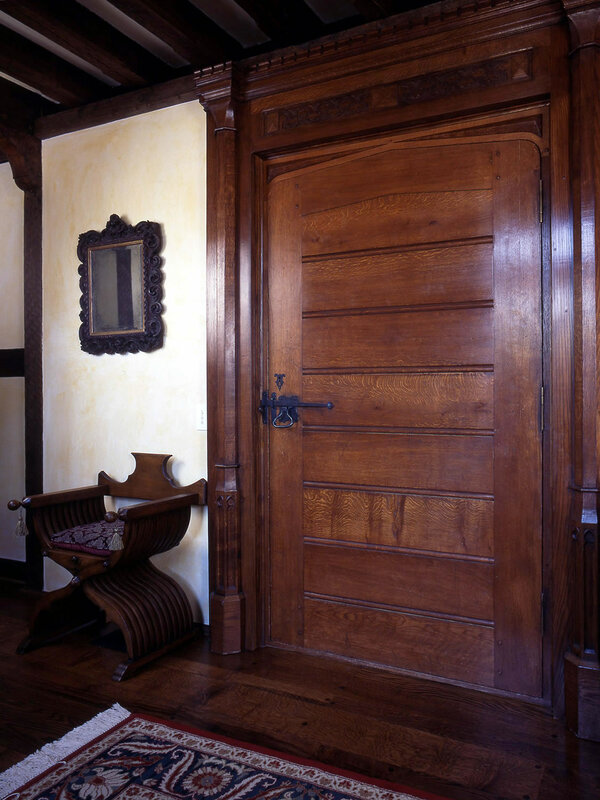 After a brief discussion about what style of door you are interested in and your rough dimensions, we give you some estimation of cost. 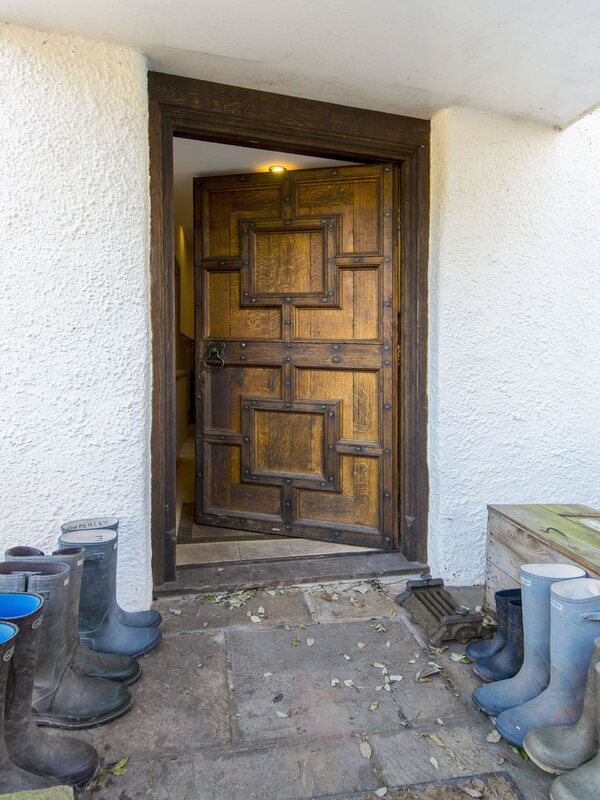 Our main entrance doors are supplied from around £3,000 and internal doors from around £1,000 – this includes a full door set (door, frame & architrave), but does not include fitting which can be quoted for separately depending on your location. 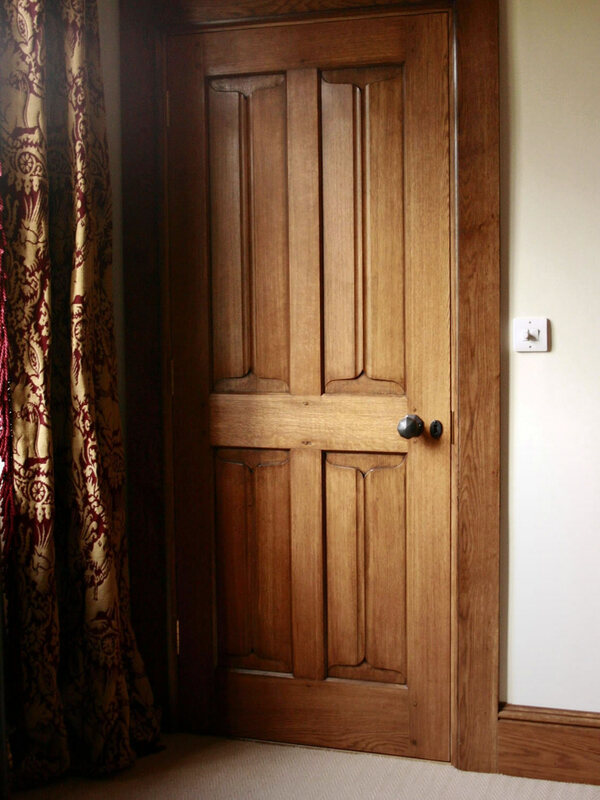 After a site survey, we produce working drawings for you to approve, along with colour samples for consideration. 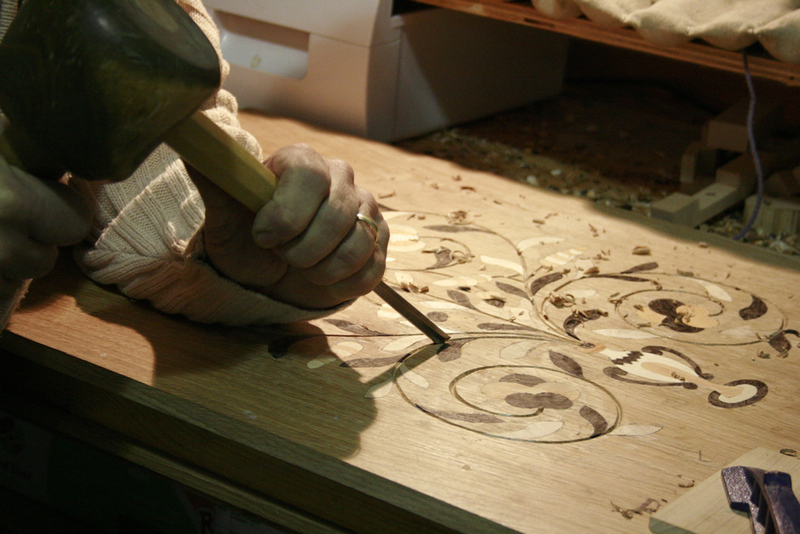 We then begin manufacture. 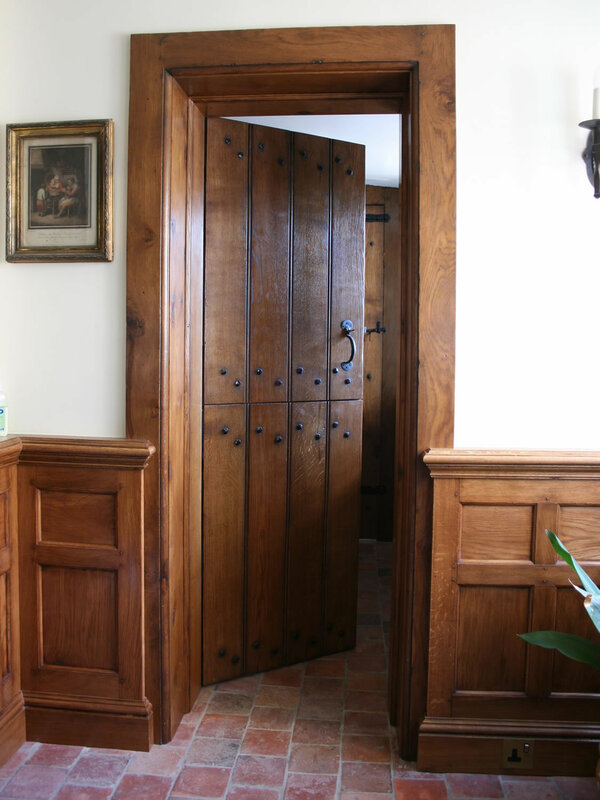 We start by selecting the finest quarter sawn oak boards from our stock. 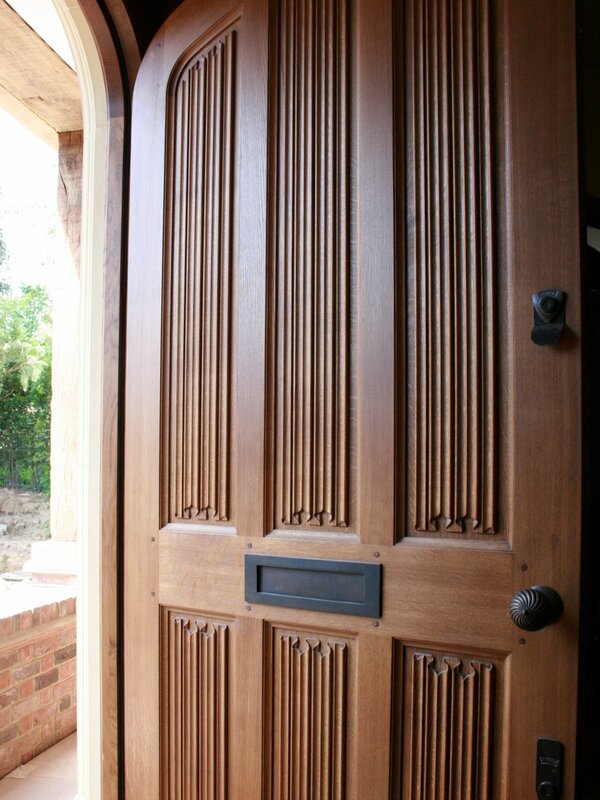 These are then carefully machined and jointed together by hand. 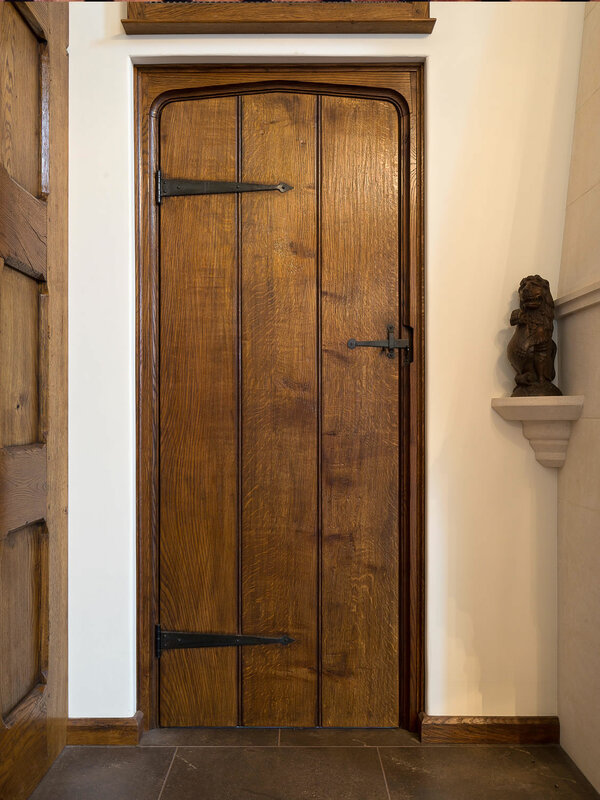 We can then deliver your door to site for our team of talent craftsman to install at your convenience or can supply only, for others to fit. 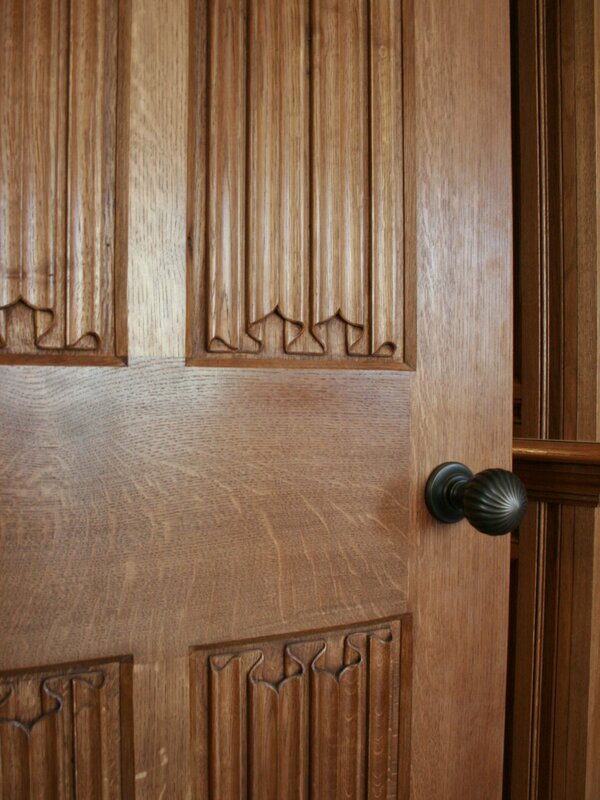 We then give one final buff which gives our timber a unique patina only achievable using quarter sawn hand polished oak.